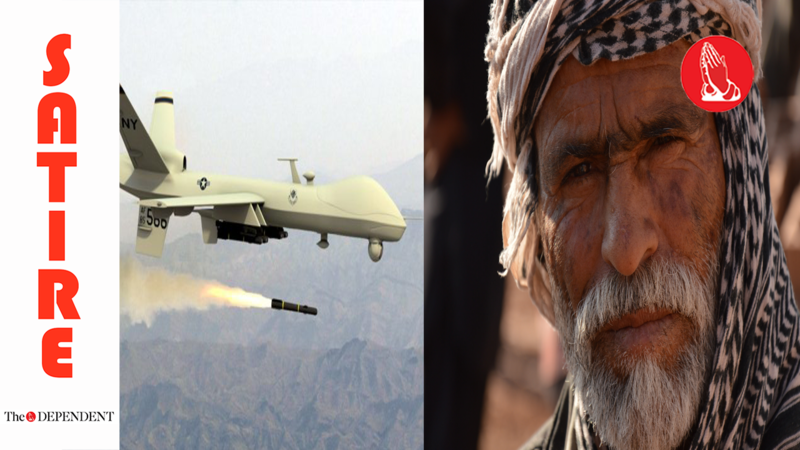 ISLAMABAD – The state is set to take firm action against American drone strikes, after one of the drones on January morphed into an individual who had morphed into Afghan refugees, the Inter Services Public Relations (ISPR) announced on Twitter. The drone in question had struck in Spintal, Hangu district and has meant that the remaining US drones might be a security threat for Pakistan after mingling with Afghan refugees. The ISPR Director General Maj Gen Asif Ghafoor confirmed on Thursday that the January 24 drone strike near the tribal areas mixed with an individual who had mixed with Afghan refugees. “Drone strike on 24 Jan morphed into an individual target who had morphed into Afghan Refugees and not any organised terrorists sanctuary which have been eliminated. Validates Pak’s stance that early and dignified return of US drones to Afghanistan is essential,” he tweeted. This was followed by a press release issued by the ISPR. “Their early and dignified return to Afghanistan is essential. Pakistan’s brotherly hospitality to peaceful US drones must not be exploited by the terrorists,” the press release stated.